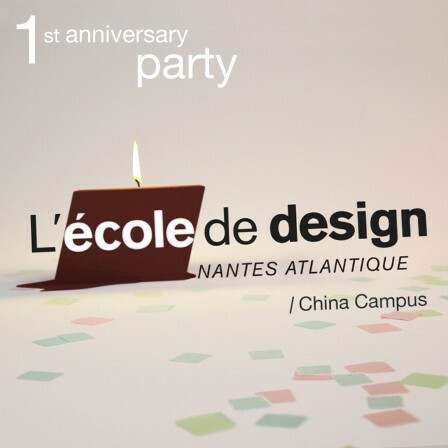 On the 28th of November, in Shanghai, the China based campus of L’Ecole de design Nantes Atlantique will celebrate its 1st anniversary in China. - And 1 Passion: Creativity! To thank all the people that participated in the programme success, the China Campus of L’Ecole de design Nantes Atlantique will organise a party in Shanghai. Meant to help people share ideas and get to know each other better, the event will consist in an afternoon of design conferences and an evening of partying.